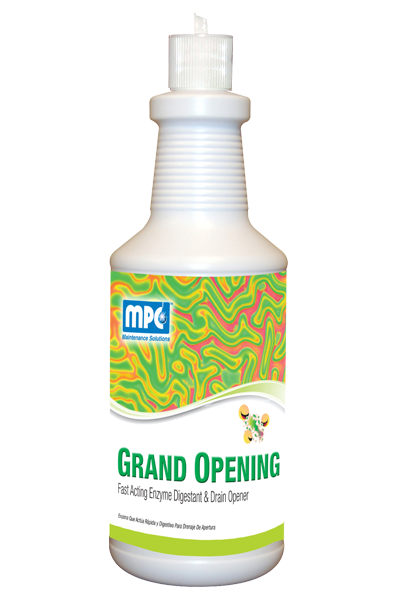 This powerful product is the first of its kind to combine the rapid waste digesting abilities of bacteria with the rapid activity of free enzymes. 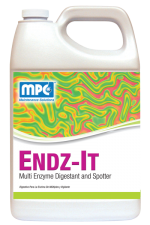 When added to organic waste, the enzymes immediately begin to breakup complex organic waste molecules while eliminating odors. May be used with modern metering equipment to truly automate your routine maintenance programs. 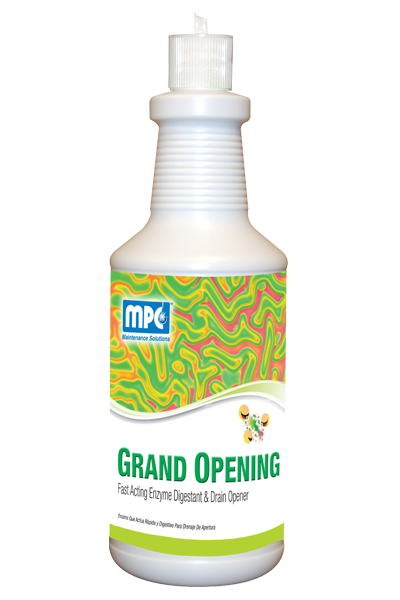 Contains a high concentration of free enzymes, including protease, amylase, lipase, and cellulose. 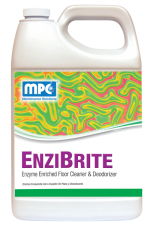 Safe to use, contains no harsh acids or caustics, and will not harm fixtures or plumbing. FOR UNCLOGGING DRAINS OR ANY SLOW PLUMBING: Pour 32 oz. of product directly into drain. To keep plumbing open and free-flowing use 3 – 4 oz. once per week. For best results, treat at the period of lowest flow to allow bacteria to establish itself along plumbing walls. 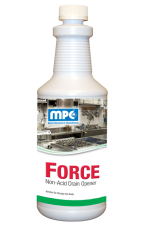 GREASE TRAP MAINTENANCE: Regular use of this product will dramatically reduce the frequency of grease trap pump-out, while controlling odors. For initial treatment add 1 quart directly to the trap through drain. For maintaining: Add 24 – 32 ounces on a weekly basis. SEPTIC TANKS: Add 1 gallon of product for the initial treatment of a typical septic tank (750 gal. capacity). To keep septic tank and leach bed in peak operating condition, add one quart per month. LIFT STATIONS: Add 1 quart of product to 500 cubic feet directly into wet well. NOTE: Do not use with disinfectants, hot water or chlorine bleaches.